TIBET EQUILIBRIUM – TIBET IS NOT IN CHINA – CHINA IS IN TIBET AS AN OCCUPYING POWER. POTALA PALACE IS MUCH OLDER THAN THE WHITE HOUSE. US Lawmakers in a recent visit to Red China have discovered that Tibet is not in China. 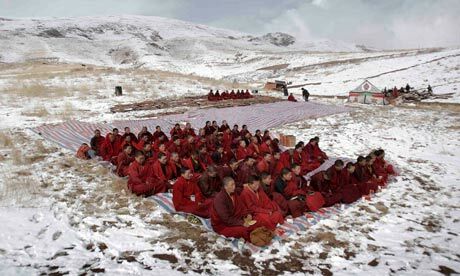 The problem of Power Equilibrium is explained as due to China is in Tibet as an Occupying Power. TIBET EQUILIBRIUM – TIBET IS NOT IN CHINA – CHINA IS IN TIBET AS AN OCCUPYING POWER. A group of U.S. Congress members has completed the first such trip to Tibet in at least seven years, saying they recognize China’s commitment to building infrastructure in the territory but remain concerned about its cultural, religious and linguistic heritage. 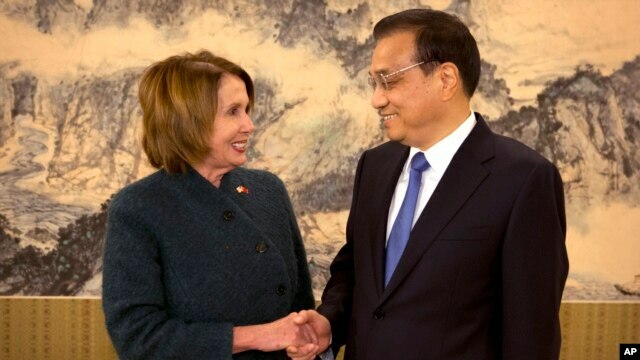 Nancy Pelosi, leader of the opposition Democratic Party in the House of Representatives, said she and six other party members also visited Beijing and Hong Kong. Pelosi, a strong critic of China’s Tibet policy who was denied permission to visit the region six years ago, noted that her congressional delegation was the first to visit Tibet since a series of protests, demonstrations and violence there in 2008. 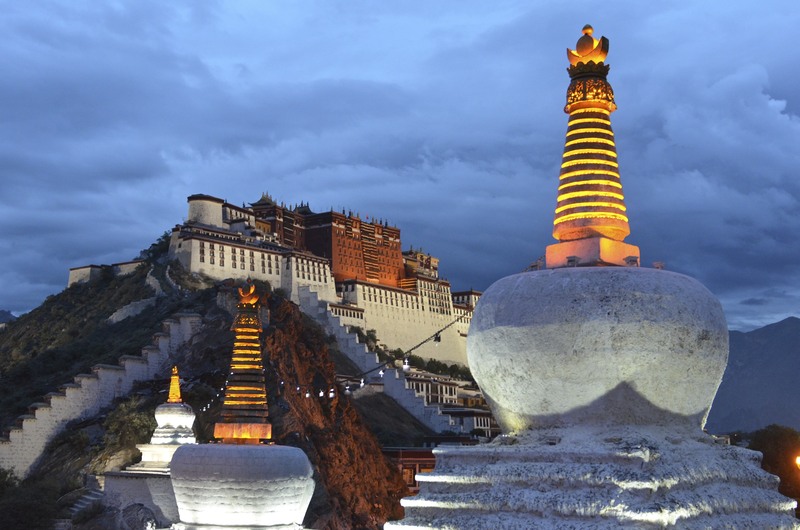 Tibet’s 1,300-year-old Potala Palace, the Dalai Lama’s traditional home, is a UNESCO World Heritage site. “The delegation recognized China’s commitment to building infrastructure across China, including in Tibet, and addressing climate change,” her statement said. Pelosi conveyed to the Chinese government officials “the strong, bipartisan support the Dalai Lama enjoys in the Congress of the United States and among the American people,” the statement said. The U.S. delegation also visited UNESCO World Heritage sites in Tibet, including the Potala Palace, which served as the living quarters and burial site for former Dalai Lamas; and the Jokhang Temple, a sacred destination for religious pilgrims. 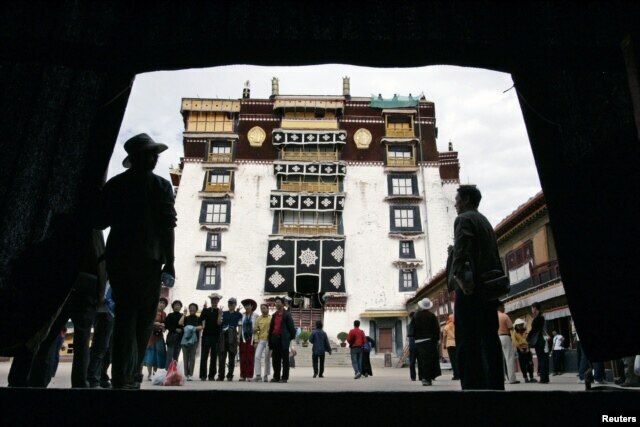 The delegation also met and observed monks at the Sera Monastery. Pelosi has been a frequent, fierce critic of China’s human-rights record in Tibet, and has been an advocate for the Himalayan region’s spiritual leader, the Dalai Lama. 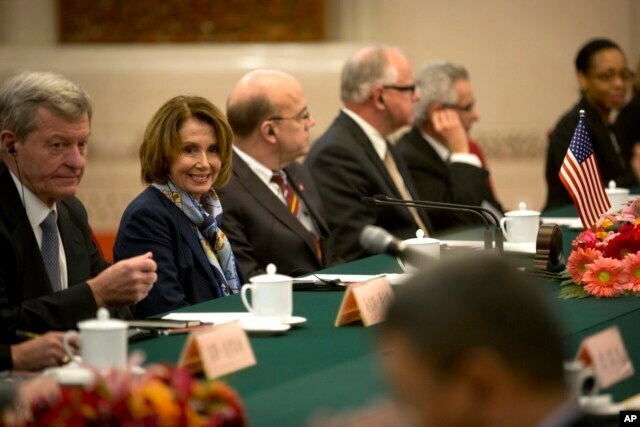 FILE – U.S. House Minority Leader Nancy Pelosi of Calif., second from left, smiles during a bilateral meeting with Zhang Ping, vice chairman of China’s National People’s Congress, at the Great Hall of the People in Beijing, Nov. 12, 2015. Chinese authorities accuse the Dalai Lama of separatism, claiming that he seeks independence for Tibet, which Beijing has ruled since 1951. The Dalai Lama insists he seeks only political autonomy. 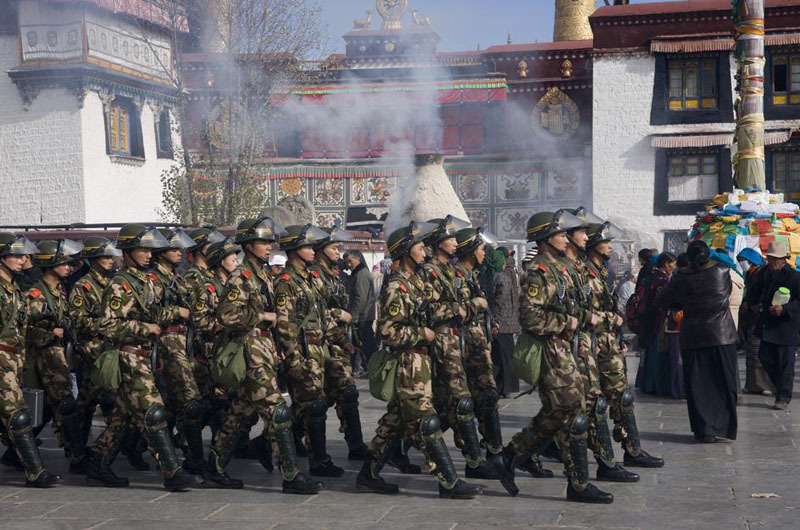 The United States and the West have long accused Beijing of suppressing demands for greater religious and cultural freedom in Tibet. In Beijing, the delegation met with Chinese Prime Minister Li Keqiang and leaders of National People’s Congress. The delegation and Chinese officials discussed the importance of building upon agreements reached by Presidents Barack Obama and Xi Jinping on climate change, protection of cyberspace and countering the proliferation of nuclear weapons. Li said Friday that China and the United States have more interests in common than they have differences, and he emphasized the steady growth of the two nations’ relations. The U.S. delegation, however, reiterated the imperative of respect for religious freedom and expression in Tibet; autonomy and democracy in Hong Kong; and respect for human and women’s rights across China,” Pelosi said. 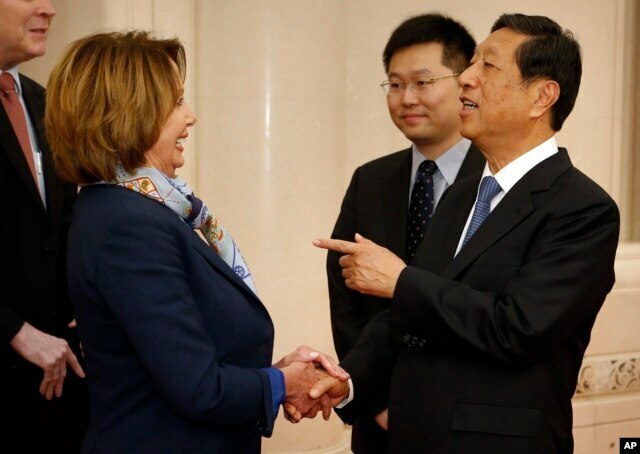 FILE – U.S. House Minority Leader Nancy Pelosi of Calif., left, speaks with Zhang Ping, vice chairman of China’s National People’s Congress, as she arrives for a bilateral meeting at the Great Hall of the People in Beijing, Nov. 12, 2015. The delegation also expressed specific concerns related to the recent arrest and detention of human rights lawyers and activists. At Peking University in the Chinese capital, the delegation participated in a climate change forum with students who shared their determination to address the climate crisis. In Hong Kong, the U.S. delegation met with top local officials and legislators and discussed the importance of preserving Hong Kong’s autonomy and the value of U.S.-Hong Kong bilateral relations. The U.S. delegation included Representatives Jim McGovern of Massachusetts, Betty McCollum and Tim Walz of Minnesota, Joyce Beatty of Ohio, and Alan Lowenthal and Ted Lieu of California. VOA’s Cindy Saine-Spang contributed to this report. 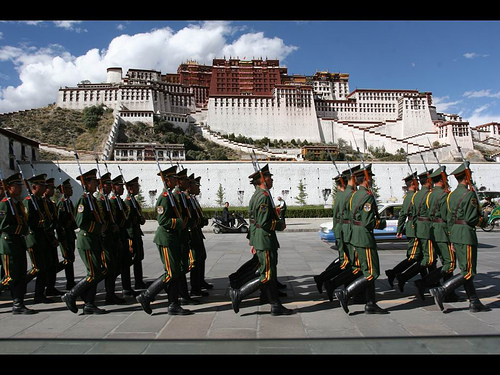 Tibet Equilibrium – China is in Tibet as an Occupying Power. Tibet Equilibrium – Tibet not in China. 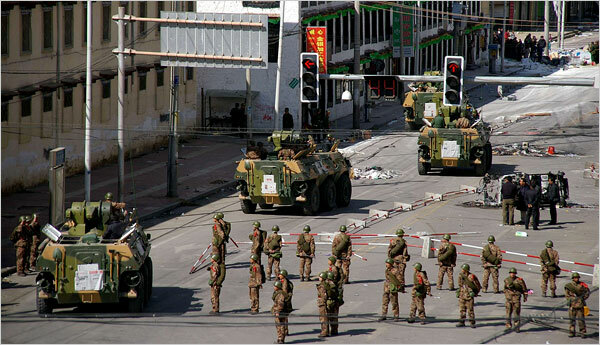 China is in Tibet as an occupying Power. Tibet Equilibrium. Tibet is not in China. 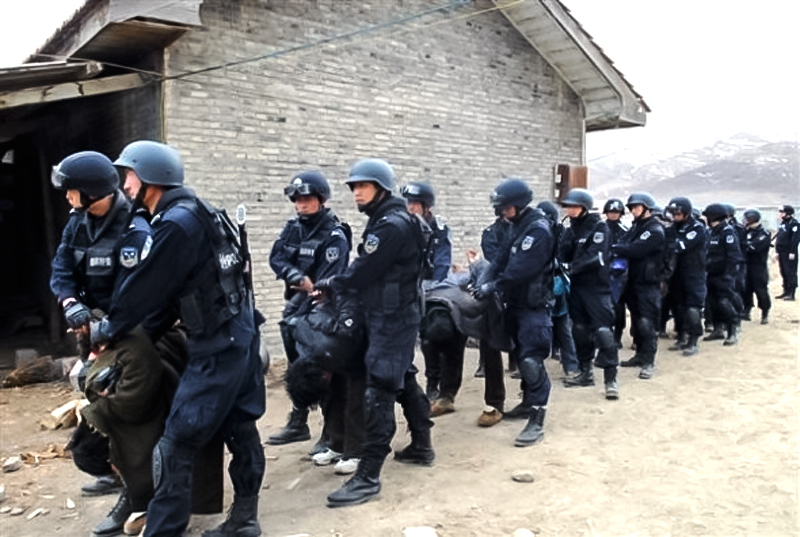 China is in Tibet as an Occupying Power.